Unique Experiences: IWD launches website that captures Event Planner’s motto! 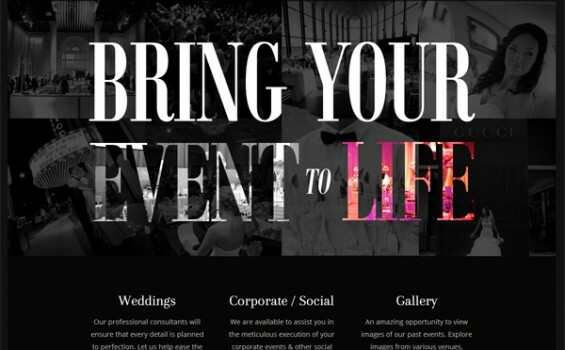 IWD was brought on to completely redesign the website of Let’s Party Consultants! Internally they had developed new key messages and branding for their customers, now their site had to be updated to match. Let’s Party Consultants focuses their talents on creating unique events & experiences for their customers and guests – so we chose to make that the focus of our approach too. One glance at the homepage and you’ll see a wide portfolio of events launched by our customer. We also developed the homepage in a vertical format, encouraging the user to scroll down to see more images and further navigate the site. The website was designed, developed, and launched with a Responsive WordPress backend for desktop, tablet, and mobile viewing. IWD Canada was retained to provide on-going website maintenance and support.